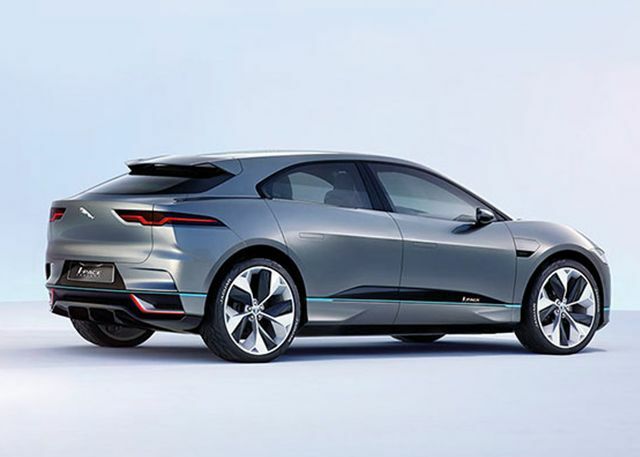 *Closed-end lease for 2019 I-PACE HSE w/ Navigation based on stock #J19385. $6,718 due at signing includes $4,724 down, $0 security deposit, $895 acquisition fee and first month’s payment. Offer excludes retailer fees, taxes, title and registration fees, processing fee and any emission testing charge. For well-qualified lessees as determined by approved lender. Lessee responsible for insurance, maintenance, excess wear and excess mileage over 10,000 miles per year at $0.30/mile. Based on MSRP of $86,841. Total lease payments equal $39,564. Lessee has option to purchase vehicle at lease end at price negotiated with retailer and approved lender at signing. Termination fee may apply. Customer must take new vehicle delivery from retailer stock by April 30, 2019. Vehicle pictured may have optional equipment. Only 1 vehicle at this price. See your sales consultant for complete details. 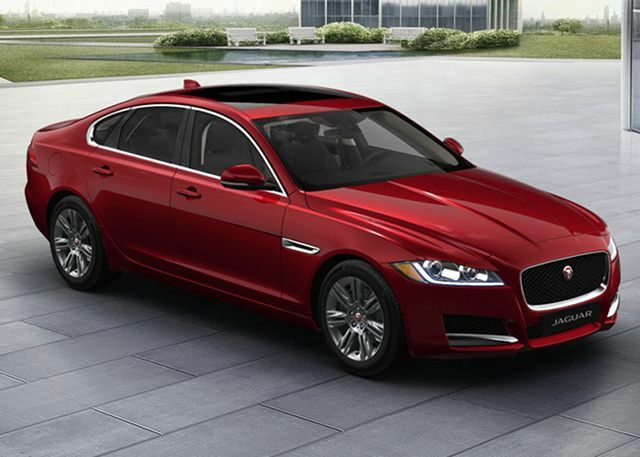 *Closed-end lease for 2019 XE 25T Premium AWD (Loaner) based on stock #J19248S. $4,332 due at signing includes $3,038 down, $0 security deposit, $895 acquisition fee and first month’s payment. Offer excludes retailer fees, taxes, title and registration fees, processing fee and any emission testing charge. For well-qualified lessees as determined by approved lender. Lessee responsible for insurance, maintenance, excess wear and excess mileage over 10,000 miles per year at $0.15/mile. Based on MSRP of $48,434. Total lease payments equal $14,364. Lessee has option to purchase vehicle at lease end at price negotiated with retailer and approved lender at signing. Termination fee may apply. Customer must take new vehicle delivery from retailer stock by April 30, 2019. Vehicle pictured may have optional equipment. Only 1 vehicle at this price. See your sales consultant for complete details. *Closed-end lease for 2020 F-TYPE P300 Coupe based on stock #J20004. $6,383 due at signing includes $4,739 down, $0 security deposit, $895 acquisition fee and first month’s payment. Offer excludes retailer fees, taxes, title and registration fees, processing fee and any emission testing charge. For well-qualified lessees as determined by approved lender. Lessee responsible for insurance, maintenance, excess wear and excess mileage over 7,500 miles per year at $0.30/mile. Based on MSRP of $75,509. Total lease payments equal $26,964. Lessee has option to purchase vehicle at lease end at price negotiated with retailer and approved lender at signing. Termination fee may apply. Customer must take new vehicle delivery from retailer stock by April 30, 2019. Vehicle pictured may have optional equipment. Only 1 vehicle at this price. See your sales consultant for complete details. 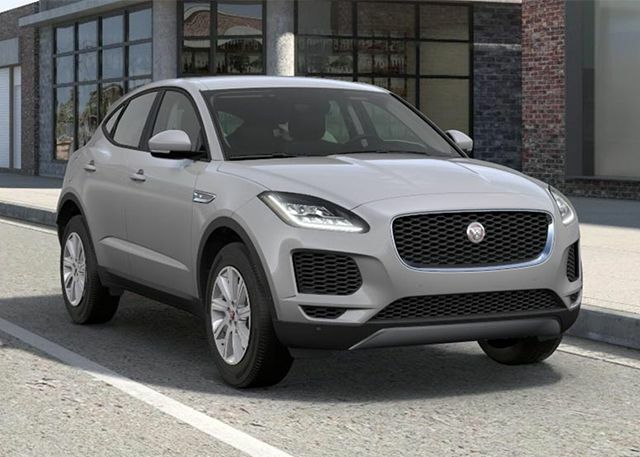 *Closed-end lease for 2019 E-PACE S AWD (Loaner) based on stock #J19091S. $5,115 due at signing includes $3,721 down, $0 security deposit, $895 acquisition fee and first month’s payment. Offer excludes retailer fees, taxes, title and registration fees, processing fee and any emission testing charge. For well-qualified lessees as determined by approved lender. Lessee responsible for insurance, maintenance, excess wear and excess mileage over 10,000 miles per year at $0.30/mile. Based on MSRP of $50,719. Total lease payments equal $17,964. Lessee has option to purchase vehicle at lease end at price negotiated with retailer and approved lender at signing. Termination fee may apply. Customer must take new vehicle delivery from retailer stock by April 30, 2019. Vehicle pictured may have optional equipment. Only 1 vehicle at this price. See your sales consultant for complete details. 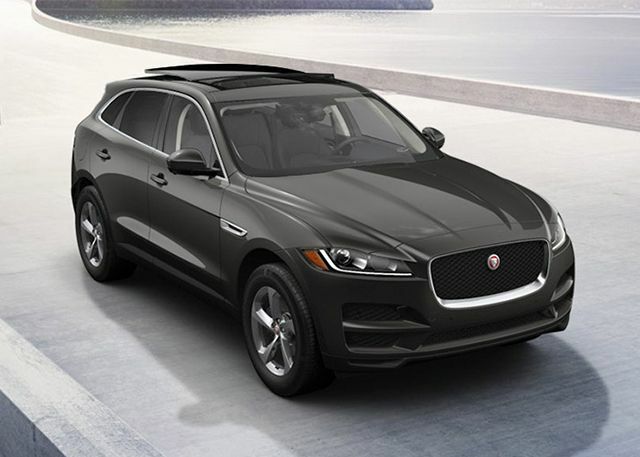 *Closed-end lease for 2019 F-PACE 25T Premium AWD based on stock #J19826. $4,213 due at signing includes $2,719 down, $0 security deposit, $895 acquisition fee and first month’s payment. Offer excludes retailer fees, taxes, title and registration fees, processing fee and any emission testing charge. For well-qualified lessees as determined by approved lender. Lessee responsible for insurance, maintenance, excess wear and excess mileage over 10,000 miles per year at $0.30/mile. Based on MSRP of $54,808. Total lease payments equal $21,564. Lessee has option to purchase vehicle at lease end at price negotiated with retailer and approved lender at signing. Termination fee may apply. Customer must take new vehicle delivery from retailer stock by April 30, 2019. Vehicle pictured may have optional equipment. Only 1 vehicle at this price. See your sales consultant for complete details. 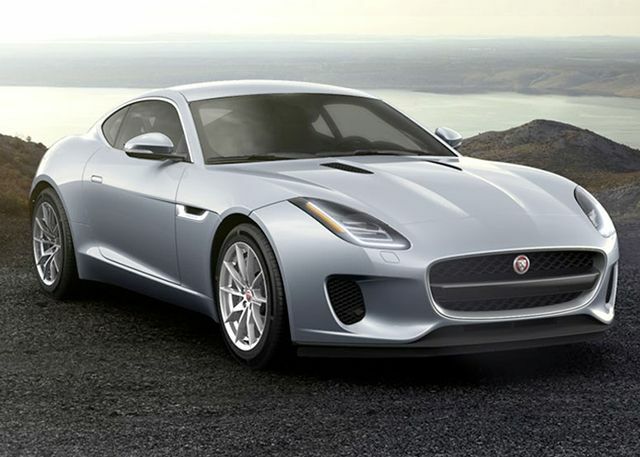 *Closed-end lease for 2019 F-TYPE P300 Coupe based on stock #J19312V. $5,923 due at signing includes $4,229 down, $0 security deposit, $895 acquisition fee and first month’s payment. Offer excludes retailer fees, taxes, title and registration fees, processing fee and any emission testing charge. For well-qualified lessees as determined by approved lender. Lessee responsible for insurance, maintenance, excess wear and excess mileage over 7,500 miles per year at $0.30/mile. Based on MSRP of $85,452. Total lease payments equal $28,764. Lessee has option to purchase vehicle at lease end at price negotiated with retailer and approved lender at signing. Termination fee may apply. Customer must take new vehicle delivery from retailer stock by April 30,2019. Vehicle pictured may have optional equipment. Only 1 vehicle at this price. See your sales consultant for complete details. 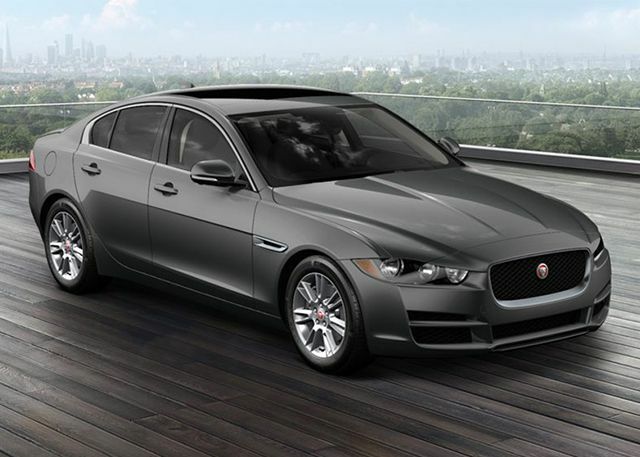 *Closed-end lease for 2019 XF Premium AWD based on stock #J19403. $5,450 due at signing includes $3,726 down, $0 security deposit, $895 acquisition fee and first month’s payment. Offer excludes retailer fees, taxes, title and registration fees, processing fee and any emission testing charge. For well-qualified lessees as determined by approved lender. Lessee responsible for insurance, maintenance, excess wear and excess mileage over 10,000 miles per year at $0.30/mile. Based on MSRP of $60,547. Total lease payments equal $29,844. Lessee has option to purchase vehicle at lease end at price negotiated with retailer and approved lender at signing. Termination fee may apply. Customer must take new vehicle delivery from retailer stock by April 30, 2019. Vehicle pictured may have optional equipment. Only 1 vehicle at this price. See your sales consultant for complete details. 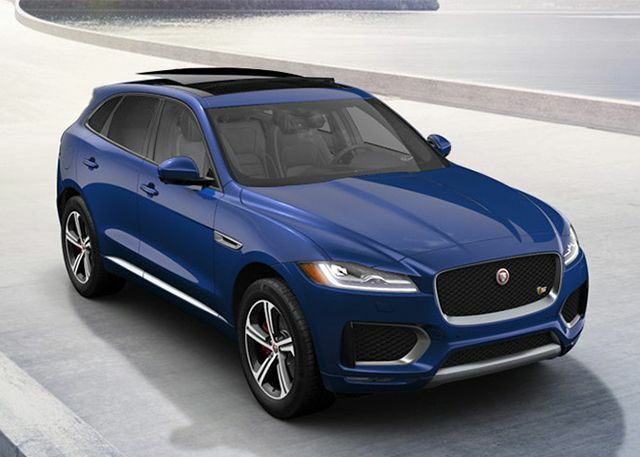 *Closed-end lease for 2019 F-PACE S AWD based on stock #J19065. $5,396 due at signing includes $3,722 down, $0 security deposit, $895 acquisition fee and first month’s payment. Offer excludes retailer fees, taxes, title and registration fees, processing fee and any emission testing charge. For well-qualified lessees as determined by approved lender. Lessee responsible for insurance, maintenance, excess wear and excess mileage over 10,000 miles per year at $0.30/mile. Based on MSRP of $70,168. Total lease payments equal $28,044. Lessee has option to purchase vehicle at lease end at price negotiated with retailer and approved lender at signing. Termination fee may apply. Customer must take new vehicle delivery from retailer stock by April 30, 2019. Vehicle pictured may have optional equipment. Only 1 vehicle at this price. See your sales consultant for complete details.